We were a little surprised when we heard that filming was going forward on The Jane Austen Book Club. Not because we didn’t like the novel that inspired it; on the contrary, we loved the novel, but were at a loss as to how the plot, with its timeshifts and flashbacks, could be rendered on film without severe evisceration, which, if not done with due care (as we Janeites certainly know), can have some ugly results. We were further alarmed by the casting of actors who all were at least a decade younger than the characters in the book. Fortunately, we are delighted to report that The Jane Austen Book Club is a funny and smart film that keeps the spirit of the original even while it takes some severe departures from it. 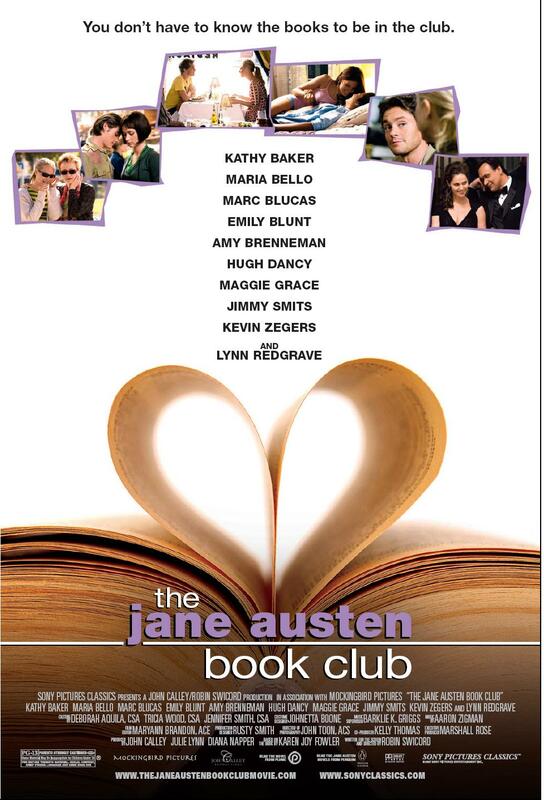 For the benefit of those who have not read the book, the six members of the group are brought together by mutual acquaintances, each of them grieving or confused or lonely, to read Jane Austen as “the perfect antidote to life.” They read and discuss and argue and flirt and fall in and out of love, using Jane Austen’s novels as emotional touchstones as her stories pop up in their lives in the most surprising ways. It’s not a modern-set version of a Jane Austen novel, like Clueless or Bride and Prejudice; Jane’s work is present and informs the proceedings, but the touch is light, almost ghostly. You probably won’t be getting any new insights into the novels. It’s more like the audience is the seventh member of the book club, listening to the others approach the novels through their own experiences, and, well, prejudices. 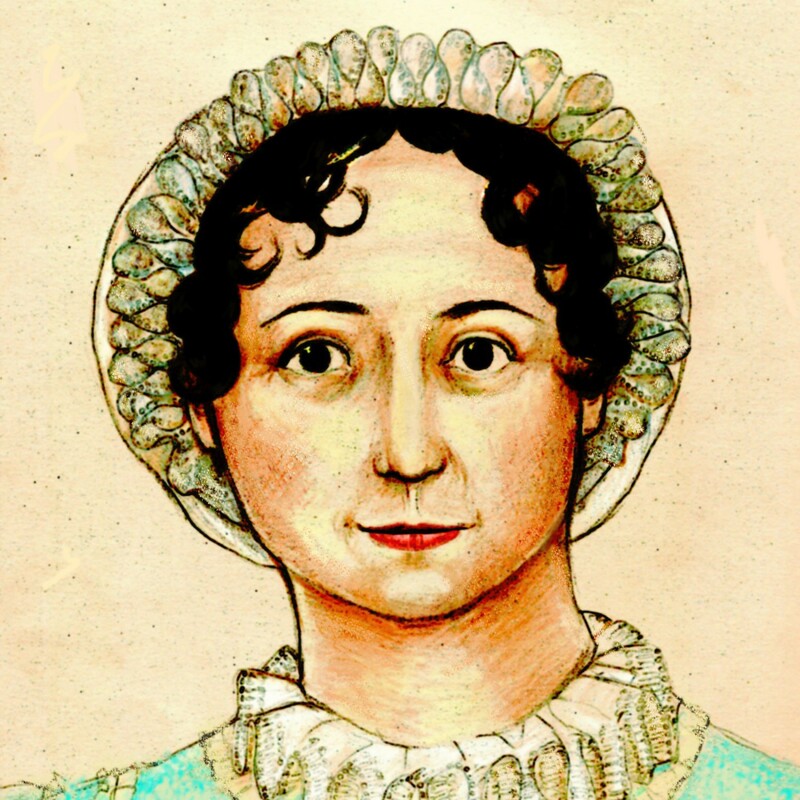 As in the novel, the Austen references shift and sneak up one. Some will likely go over the heads of non-Janeite audiences, and probably they will never miss them; they are little treats for Janeites. Yes! This film does not forget the Janeites! Shocking, we know, after suffering a series of directors and screenwriters and actors who said publicly that they did not care what Those Austen People thought. Robin Swicord, who wrote the screenplay and directed, is one of us, and we are not forgotten. Although not all members of her cast are Janeites, she gets them to buy into the Janeness, and yet manages to avoid major eggheadedness that would make the Great Unwashed run screaming for the exits. Non-Janeite friends, family, SOs, and spouses need not fear this film. Janeites, for that matter, need not fear this film, even if one has been disappointed by recent efforts in her name. We laughed a lot, we cried a little, and we enjoyed the way the ending wrapped up all the stories harmoniously–just like Jane. Those who have not read the novel should have no problem following the film, and those who have read the novel will enjoy it, we think, whether or not you liked the book. It’s witty and clever, much like Jane herself, and celebrates her novels and the community of readers who have loved them for 200 years. You, Gentle Reader, are part of that community; go and celebrate.